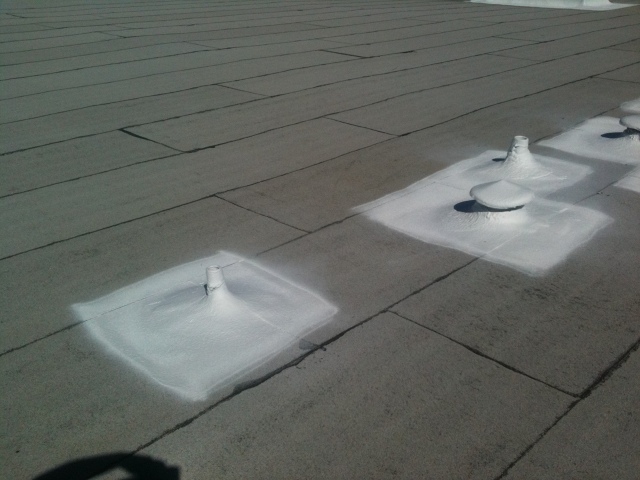 In some instances spray foam can be selectively applied to just the leaking parts of the roof. 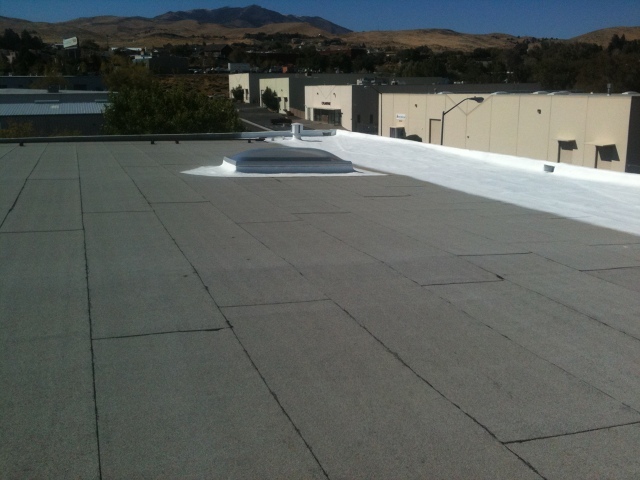 The foam is self-flashing and can terminate anywhere on the roof, without fasteners. 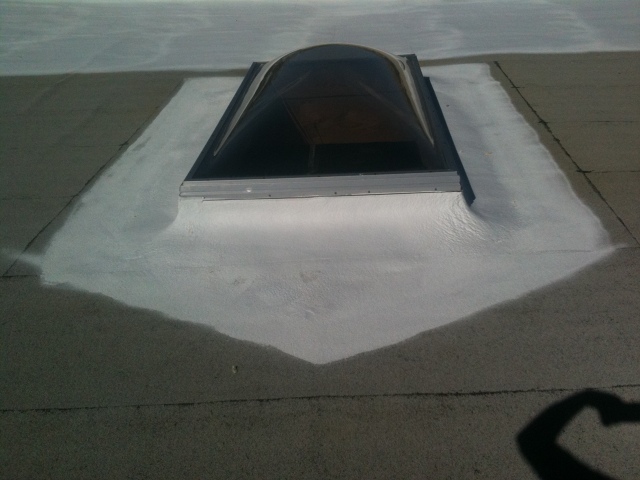 Spray foam was applied to the low areas of the roof where all of the water drains. This stopped all of the leaks, sealed in the drains and scupper.